Biography of Sir John Elmes Kt. General Wool merchant and Calais stapler. Wife inherits around 6,000 acres of land and 50 properties including the local Manors of Warmington, Papley and Lilford. c1430 born into the mercantile family of the Lord of the Manor of Bolney in Oxfordshire. A 1564 visitation gives three generations before Sir John, all from Henley in Oxfordshire, all named John and with no wives named. His father was Sir John Elmes of Henley a wealty wool and grain merchant who lived at the moated property of Bolney Court in Lower Shiplake near Henley. The family also owned the Manor of Cassington. c1450 becomes a wool merchant and Calais stapler. He was thus a member of the English-owned wool Company of the Staple at Calais (now in present day France), the Calais staple being a vital link for trade with the Continent. From 1314, the Crown required all wool for export to be traded at a designated market, called 'the staple". This allowed the Crown to monitor the trade and levy tax on exports. The Merchants of the Staple, also known as the Merchant Staplers, was an English company which controlled the export of wool to the continent during the late medieval period. After Calais was conquered in 1347 by the English, Calais was the staple from 1363. A group of twenty-six traders was incorporated as the Company of the Staple at Calais. In exchange for its cooperation in the payment of taxes, the company was granted a total monopoly on wool exports from England. The company was important to the English crown, both as a source of revenue, and through its role in the defence of Calais against the French. In particular, the Staple bankrolled sucessive kings in return for grants of land in the king's hands due to forfeiture from those who fought against the king. 1457 married Elizabeth Browne, sole heiress of William Browne an extremely wealthy wool merchant and landowner from Stanford, Lincolnshire. William Browne was also a Calais stapler as was Sir John. Click here for separate biography of William Browne . 1470 purchases land in Henley to build The Chantry House (which still exists), out of which the family business was based. 1471 daughter Margaret dies as a child. An effigy of his daughter is to be found in the South Chapel of All Saints Church Stamford. 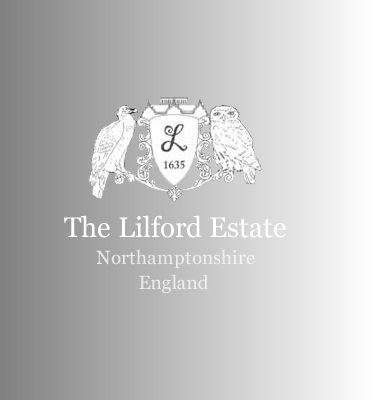 1489 wife Margaret inherits at the age of 48 around 6,000 acres and 50 properties (at today’s value worth around £50 million), one of the manors being the Manor of Lilford, which is the point that the Elmes family gain ownership of this manor, and remains in ownership with the family until 1711 when the last of Elmes family finally dies. Margaret also inherited land in the Parishes of Wothorpe, St.Martin’s, North Luffenham, Sculthorpe (Scottlethorpe), Stretton, Stretton-Stokin (Stretton-Stoken), Thiftleton (Thistleton), Eafendine (Essendine), South Witham, Twiford (Twyford), Woolfthorpe (Woolsthorpe), Barholm, Colfterworth (Colsterworth), Steynby (Stainby), Caftle Bytham (Castle Bytham), Cownthorpe (Counthorpe), Careby, Eafton (Easton), Berrack (Barnack), Walcott, Pilfgate (Pilsgate) and Cafton (Casterton). 1511 wife dies, and will of wife dated 11 April 1510, is proved 17 May 1511, and lawyer and Justice of the Peace son William inherits. Arms : 'Ermine on two bars sable ten holly leaves, five and five, Or. Crest : Out of a ducal coronet Or, a woman’s head and neck couped proper crined of the first. Arms of Elizabeth Browne (wife of Sir John).